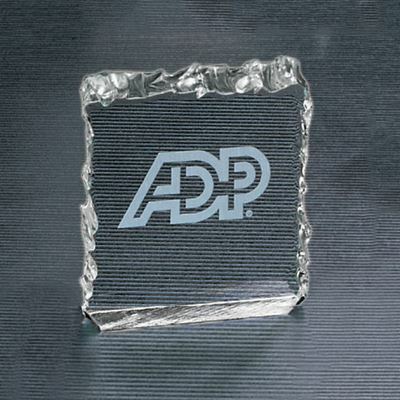 3/4" thick, 3"x3" crushed ice acrylic paperweight. Available in Jade tint or Clear. 3/4" thick polished acrylic paperweight with marble design at center in your choice of three colors. Overall size 3-3/4"x3-3/4". Gift box included. 3/4" thick clear acrylic star paperweight. Overall size: 5"x4 3/4". 50 characters lettering and gift box included FREE. 3/4" thick square acrylic paperweight. Clear only. 3/4" thick rectangle acrylic paperweight. Jade only.